These are the most frequently asked questions we receive; here are our answers! How long have you both been best friends? We have been best friends since high school! Many years later and we're still kicking it! What is your favorite decade of fashion? Miss Kitty Sews: I skip around according to mood, but generally I really like late fifties and early sixties. Around fall and winter I go into Victorian and 1920's mode as I like the rich colors and fabrics from that time frame. Reggi Rosé: I particularly enjoy the 1920's, 1940's,1950's and 1960's. Each decade has it's own unique beauty and glamour... it's hard to chose just one! Miss Kitty Sews: Applying makeup for me was always trial and error. I am mostly self taught with the occasional youtube tutorial thrown in. It has been interesting evolving my makeup routine as I've gotten older I seem to using less and less colors. Maybe I'll evolve again and everyone can witness me rekindling my makeup addiction. Reggi Rosé: I am self taught. When I was younger, I would watch my mother apply her makeup almost every morning. I found it so fascinating! While in college, I began experimenting with different types of makeup and various themes on myself and my roommates. The more I experimented and practiced, the better I got. Can I request a video or blog post topic for you to cover? How? Of course! We would love any requests and/or suggestions you have. Please email us at misskittysewsandreggi@gmail.com. We cannot guarantee that we'll be able to fulfill your request, but we'll try. For all inquiries, please email us at misskittysewsandreggi@gmail.com. Or, click here. Miss Kitty Sews: I have a few brands that I am loyal to, like Benefit for brows and moisturizer. When I am feeling like I should spend more money I will always go for Yves Saint Laurent, I am so in love with their lipsticks! But when it comes to eyeliner and mascara I seem to jump around trying to find the perfect one. Reggi Rosé: I have dry skin, so I like products that keep my face hydrated throughout the day. I normally use products from Hourglass Cosmetics, Benefit, Anastasia Beverly Hills, ColourPop Cosmetics, and Skin Perfekt. If I send you products, will you review these on your blog and/or other social media platforms? Please send all inquiries to misskittysewsandreggi@gmail.com and include a link to your website. We'll send you our media kit, if appropriate. We will not review products that do not have a professional storefront or website. Sending us your product does not guarantee a feature on our blog or other social media platforms. Thank you! We love doing collabs! These are so much fun and you get to meet great people in the process! 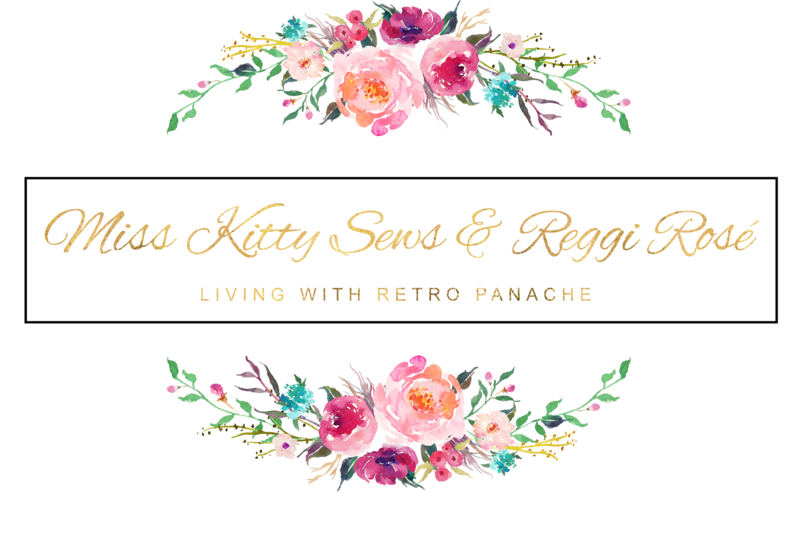 If you would like to do a collaboration post or video, please email us at misskittysewsandreggi@gmail.com with "Collaboration" in the subject line. We'll be in contact if the subject is appropriate for our blog.Thank you!